This is one of those drinks that I look forward to every year! If you like apples and cinnamon, I’m not sure how you wouldn’t love this drink. It was a smooth and sweet apple-y flavor, with a nice amount of cinnamon and other spices mixed in to give it a warm fall and winter flavor. I usually drink it cold out of the bottle (since you have to refrigerate it after opening) because I’m not patient enough to heat it up, but this is also really great as a warm drink. 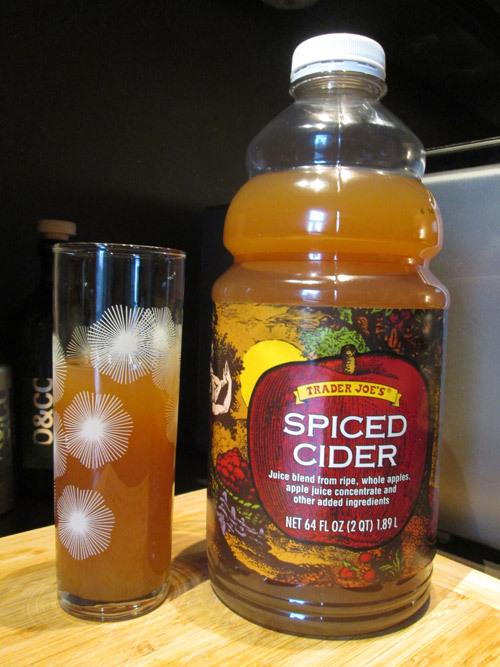 I’ve also added a bit of caramel to it a few times when drinking it warm to get a caramel apple flavor. I don’t know what else can really be said about this. It’s cider. It’s delicious. Buy 5 of them just for good measure.